John (Sr.), called the "Patriarch", was an old-line Whig during the Revolution. He was twice strung up by the neck by Tories who wanted him to divulge where his money was hid. He refused. As the Tories fled from pursuing patriots, he was cut down by his wife and daughters. His neck was permanently crooked as a result. John (Sr.) was a shoemaker and a farmer. 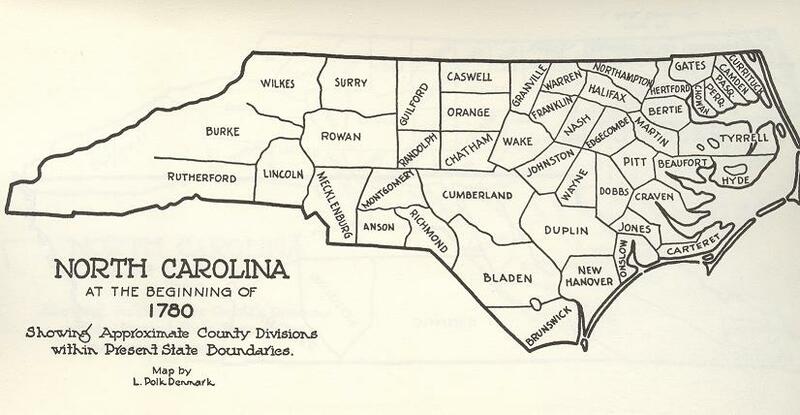 He moved his family from Charlottsville VA to Tryon County NC by 1765, purchasing 850 acres of land along the Catawba creek (see Map of NC in 1775). 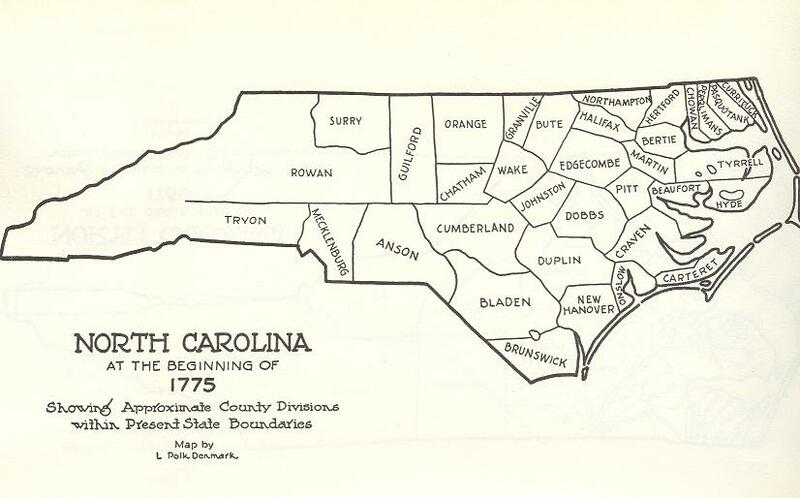 Tryon became Lincoln Co. in 1779 (see Map of NC at the beginning of 1780). There were no white males over 16 years old in the household. Sons Thomas, John and William may be the other Kincaid households listed in this Census. In 1792, he moved to Burke Co. NC, where he bought 1400 acres on White's Mill Creek, later called Bullinger's Mill Creek, and finally Bristol's Creek. It was a branch of Lower Creek which runs from Lenoir to the Catawba River, east of Morganton. See History of the mill. The Kincaids were among the earliest settlers of this area, which became Chesterfield. See History of Chesterfield. 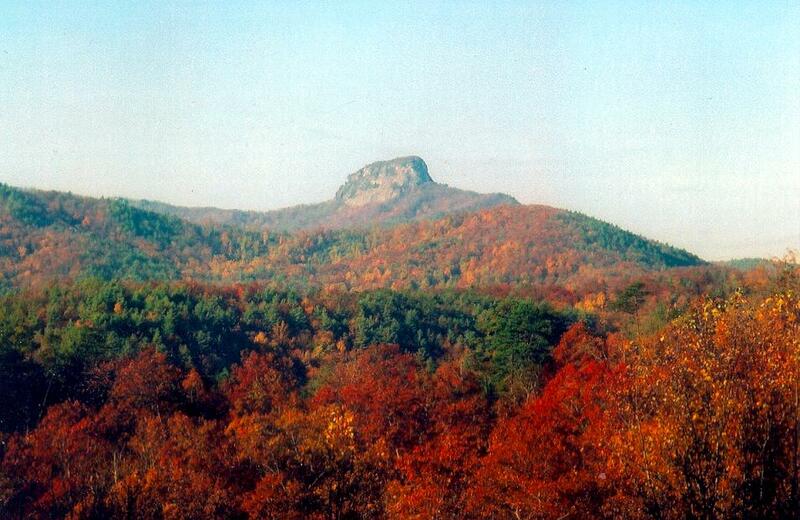 The Kincaids' land, along Old Johns River Road, had excellent views of the mountains, including Table Rock (photographed from the Blue Ridge Parkway). At least three of John's sons served during the Revolutionary War. John Jr., served under Gen. Thomas Sumpter in SC, and fought at Kings Mountain. James participated in a 4 month campaign against British-allied Cherokee Indians, and later at the siege of Charleston, and obert joined a militia unit combating Tories in western NC. In Jun 1802, John's son Robert married Elizabeth "Betsey" Guthrie (1782-1864), daughter of Reuben Guthrie. "Crooked Neck John" Kincaid died in 1811 at the age of 101 years. His wife Nancy died at age 95. Both are buried in the old Bristol-Kincaid Cemetery that he had bequeathed to his family. The cemetery is located one mile off of Route 18, five miles northeast of Morganton. First Census of the United States, Ninth Company, Morgan District, Lincoln County, NC, 1790. Hildebran, Abbie Seals, "John Kincaid", The Heritage of Burke County 1981, The Burke County Historical Society, Morganton, NC, 1981, entry no. 409. Kincaid, James Murphy, History of the Kincaid Family, publ. by Joe K. Kincaid, La Veta, CO, 1918. Kincaid, Mrs. Clyde E. [Gayle], Asheville NC, letter to Lisabeth M. Holloway, Aug 2, 1978. White, Emmett R., Revolutionary War Soldiers of Western North Carolina, Burke County, Vol 1, p. 149.